Click to see our Greece buying guide. A seaside villa The Aegean is now a reachable dream. If you wish to buy a house or apartment in Crete, or invest in property in Crete, this small island, scattered with olive trees is turning out to be a great investment. The operation is even more interesting than in 2014, the purchase prices reached a relatively low level and have stagnated since then. 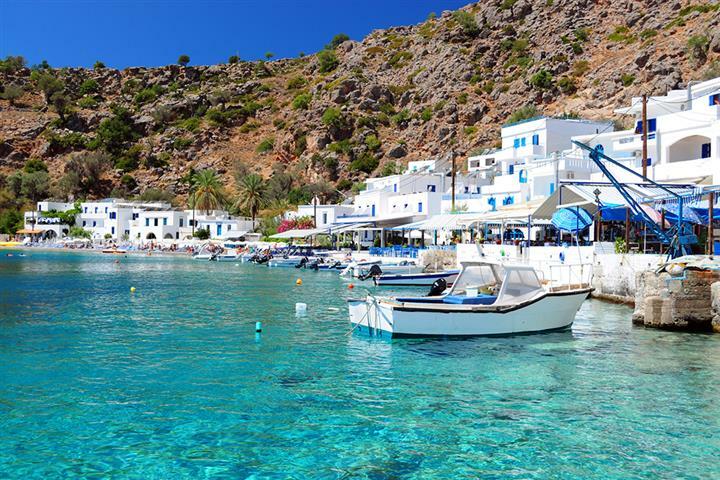 The biggest island in Greece is also part of Europe, which makes buying procedures easier in intracommunity terms. It is thus possible to buy a house in Crete, in the hills, or by the sea where you will have a panorama that will take your breath away. This is an island just loaded with history, where mythology mixes with the ancient ruins. Legend has it that the birth of a famous mythological character, Zeus, took place here. Thessaloniki Cathedral, Macedonia Central Macedonia plays a strategic geographic position, open to all of Europe. On the shores of the Aegean Sea, the region is also home to the second capital of Greece, Thessaloniki. The first commercial port of south east Europe, Thessaloniki benefits from a very rich historic heritage, inherited from the Byzantine period. European youth capital in 2014, Thessaloniki is above all known for its dynamism and cultural influence through the International Exhibition or the International Film Festival among others. Property in Macedonia is in addition relatively inexpensive. So, will you opt for an apartment with courtyard in the old town of Thessaloniki? Or maybe a villa with sea views on the Chalkidiki Peninsula? The region for olive oil, Attica attracts investors. The winter is mild here, like the prices of property in Athens. They have lost nearly half their value since 2008 and represent an opportunity not to be missed for people wishing to buy a house or an apartment in Attica. There are several possibilities to buy an apartment in Athens: the area to the south offers good access to the sea, to the north is more of an ideal family setting with many schools and the nearby old town, Plaka, at the foot of the Acropole. You can also choose to buy some land or a villa on the heights of the town, just out of the centre. The rich history of this region, its gastronomy and landscapes will win you over. This region in the south of Greece is Littered with olive groves, and includes different panoramas. 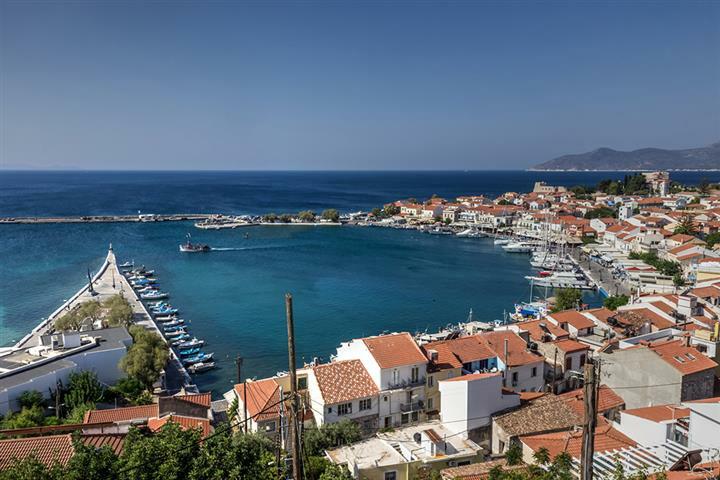 Whether you be town centre or fishing village, several options are open to you if you wish to buy a house, villa or apartment in Peloponnese. The character of the villages differ according to their locality, like Nauplie, ancient village with an Italian history, which can be seen through the little paved lanes bordered by bougainvillea. Property in Peloponnese is an affordable dream; buying a house or apartment in this region is globally 10% to 15% less expensive than buying on a Greek island. A hillside villa in Peloponnese offering a panoramic view of the three seas that surround this region is motivating a growing number of investors. They tend to favour the region of Laconia, often easier to get to than some Greek islands which need the ferry for access. Corfu Lush vegetation, splendid mountain landscapes, dream beaches and Venetian architecture sum up the Ionian Islands. But these islands, located just a short distance from the west coast, are also authentic islands with a large rural population. So, which island to choose? Corfu, the enchanting, amazing and wonderful mixture of Greece and Italy? Peaceful Ithaca where Penelope weaved while waiting for Ulysses? Or Kefalonia, the largest and most mountainous of the Ionian islands, a true paradise for all types of holidaymakers, and even more so for hikers? So why not let yourself fall under their spell and buy here? For real estate in the Ionian Islands, with many apartments and houses for sale, remains buoyant and affordable although the selling prices seem a little higher than on the mainland. Meteora, Thessaly The fertile and green plain of Thessaly, at the foot of Mount Olympus, is rich in natural and cultural sites. Although it's not the top tourist destination in Greece, it is nevertheless a region with lots to do and see. A must see is spectacular Meteora: after a bend, you'll discover the 24 rocky peaks with monasteries on the summets - it is quite a sight. To recover from such emotion, what better to do than a little laze on the beautiful beaches of the Aegean Sea. Or why not take a trip to the Sporades islands like Skyros, so rich in mythological legends. And, the cherry on the cake: Property in Thessaly has many properties of all kinds, at very affordable prices: plots of land, apartments or houses sometimes with the bonus of a sea view. Houses in Eastern Macedonia and Thrace The eastern part of the ancient kingdom of Alexander the Great, Eastern Macedonia is a region off the tourist trail. Yet it offers magnificent landscapes to the Turkish border, alternating between mountains and fertile plains with numerous rivers. The Nestos delta is a wonderful haven for thousands of rare birds. An eastern influence is strongly felt in this region. Kavala, a pretty stepped town on a hill facing the sea, is an example of the Ottoman footprint with, among other things, its magnificent aqueduct built by Soliman the Magnificent. And keen bathers can rest assured that there are many beaches with crystal clear water. The real estate market in Macedonia-Oriental offers many investment opportunities at very attractive prices, especially around Kavala: building plots, apartments, houses, large villas ... The choice is yours.